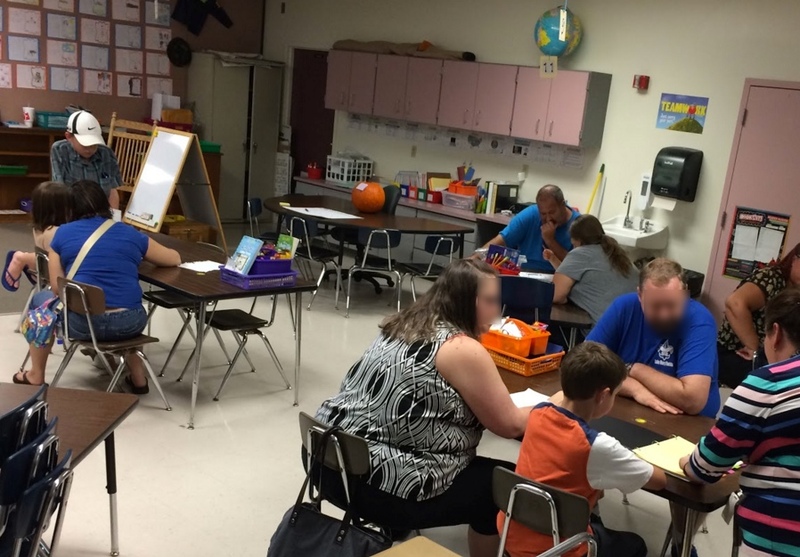 Imagine an eight-year-old sitting at a table using a data notebook to explain standards mastery and goal setting to her parents during parent/teacher conference night. My imagination collided with reality during a recent visit to Orange City Elementary School in Volusia County Schools, Florida. I wasn't sure what to expect when I walked into Ms. Crawford and Ms. Alison's 3rd-grade classrooms. When I arrived, groups of students and parents were conducting individual meetings throughout both classrooms. I was shocked and speechless at first. Then I began wandering around the rooms and listening to the conversations between children and parents. The individual students were leading the conferences with the adults while the teachers observed and made themselves available for questions. It was an amazing sight to see young children explaining data to their parents as they referenced the class test performance charts and goals graphs on the walls. 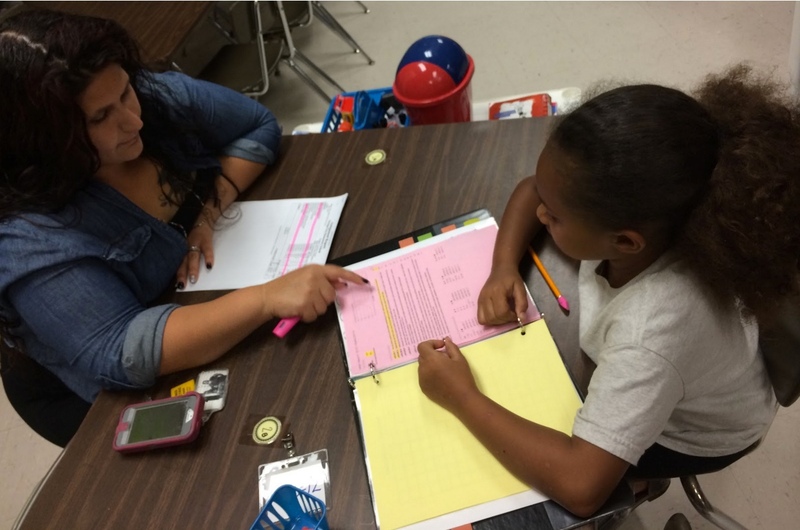 Inside their data notebooks, students shared their Eduphoria Aware standards mastery printouts and gradebook assignments with scores. From my years of teaching experience, educators always directed the parent/teacher conferences while the parents and students sat and listened. 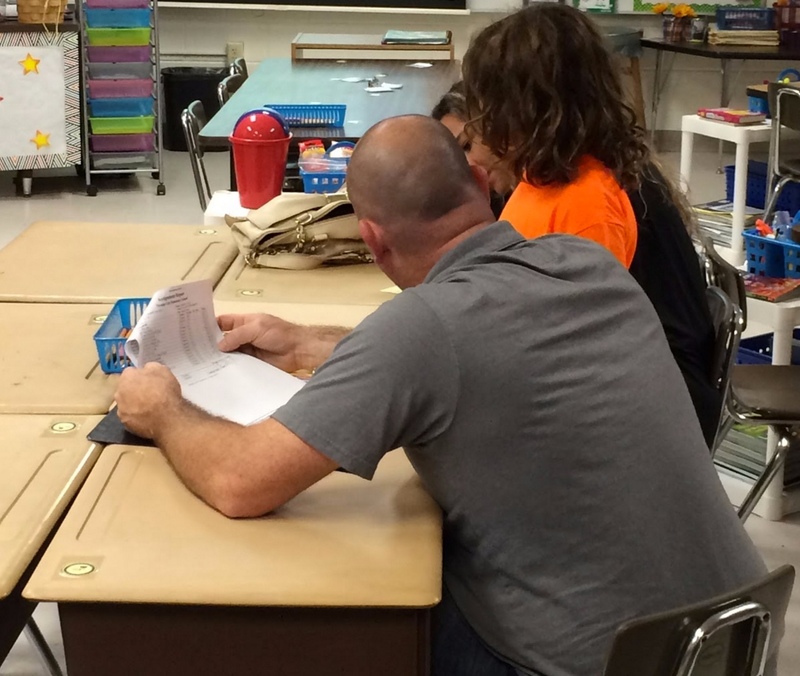 Engagement occurred when a parent had a question about a missing assignment or a low test score. Ms. Crawford, Ms. Alison and their students flipped my understanding of parent/teacher conference night upside down. Everyone was engaged, and the students became the instructors as they explained their current achievements, short-term academic goals, and overall conference reflections. Assistant Principal Andrea Hall was also observing the conferences. At the end of the evening, she said parents came up to her and told her how much they appreciated and enjoyed the information shared by their children. Kudos to Ms. Alison and Ms. Crawford for being the first teachers at Orange City Elementary School to pilot the data notebooks with their 3rd graders and the first to structure the most inspiring parent/teacher conference night I've ever attended.